Hello Everyone. My Name is Sandro. This is my first time making a game with poccil's starter kit. So any help and or suggestions would be appreciated! 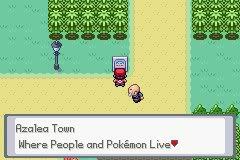 This is my game which takes place in Johto and maybe other regions later on. And there will be many new features and a whole different story. 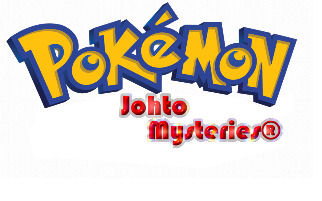 So i present to you Pokèmon Johto Mysteries! You start out as a young boy/girl visiting Johto on your summer vacation from a trainer schoo.l Your aunt lives in goldenrod city so your staying with her, But your also bummed that you have to write a report in the summer about the Pokèmon in Johto for the trainer school when you get back. That's one of the reasons why your there in Johto. You get out of the train station and you notice that there's a hurt Cranidos on the ground it seems strange to you because this Cranidos is a different color then the Cranidos you've seen in books and also not only are Cranidos native to the Sinnoh region but there also extinct you help the Cranidos by giving it a potion that you had in your backpack. 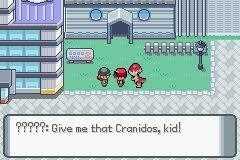 As soon as the Cranidos got better some mysterious trainer comes up to you demanding that you give him the Cranidos. You decide to protect the Cranidos. Then the trainer challenges you to a battle but you having no Pokèmon decide to use the Cranidos. After you've won the mysterious woman runs screaming that the Neo Team Rocket will get that Cranidos. When you arrive at your aunts house you see a Woman standing there she notices the Cranidos and she asks you to come to her and her brothers lab later. The next day you go to their lab and they tell you the whole story behind that Cranidos. Through your adventure you will experience many trainers some allies others enemies. 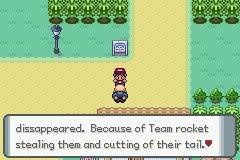 Help defeat the evil syndicate Neo Team Rocket and discover the reason for them wanting the Cranidos. 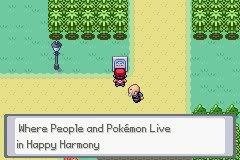 This will all happen on the road to becoming a Pokèmon Master. The New And Improved Battle Tower! More Features will be added if i find a scripter! The Re-make of the first battle! Note: Looking for scripter and a better graphics guy/girl. Poccil. For his Starter Kit. Me for the CSS Layout. Ryushin5. For the awesome ideas combined with mine! Pokehero22. For a support banner a few cool ideas and A map! Tony™. For His Powerfull Remixes! Ryushin5, Atomic_Reactor, PokemonOI, Pokehero22, ~element and every other people for inspiring me to make this game! This looks really pro. But can you remove the spoiler of the video, when I try to click play, it hides the spoiler. It's supposed to do that. oh and GKS, the video works for me. Really, when I try to click play this spoiler hides it again. Done! And thank you! I will update it almost 3 times a day so stay tuned! looks very cool looks cool ive used RPGMXP before but haven't heard of the poccil's starter kit. hollowminds wrote: looks very cool looks cool ive used RPGMXP before but haven't heard of the poccil's starter kit. Cool, just wondering, how come the Craindos is shiny outside of battle, but not inside? G.K.S. 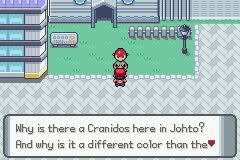 wrote: Cool, just wondering, how come the Craindos is shiny outside of battle, but not inside? Well i was figuring that one out. but its fixed in the second vid! Sorry if I missed it, but isn't Cranidos still different colors in and out of battle? Nope. that was fixed. and so is the ulgy OW sprite AAAAND!!! I re did the Azalea map with new tiles! Credit goes to Fanking Omega for the tiles! 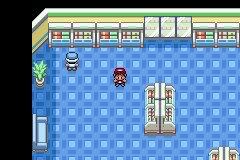 Nice updates, just wondering why is there a small white square on the doors of the PKMN center and mart? 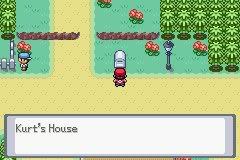 Its the even't the makes you enter just like the warp in A-Map the house under the pokemon center has one too. the other ones don't have any yet cause im not done. The Cranidos in the link to the youtube video is shiny. Yeah, it looks good after being shiny. That's great, can't wait to play it. nice man. keep it up! I just got some new tiles so im gonna start on it again right away and there will be updates soon! Can't wait to see it, good luck, I is the D/P tiles? nope its custom tiles. and its not alot. but there great!